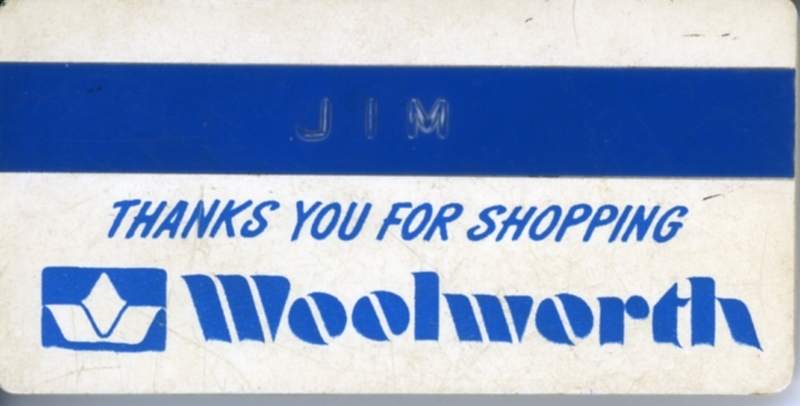 My first job at the Mall was as a stockboy at Woolworth’s during my junior year. A few of the neon letters in the outdoor sign were always broken, so we called it oolwo’s. They let me have a bookcase they were going to throw out, and I still have it in the classroom in which I teach in Framingham. And I still have this name tag for some reason. 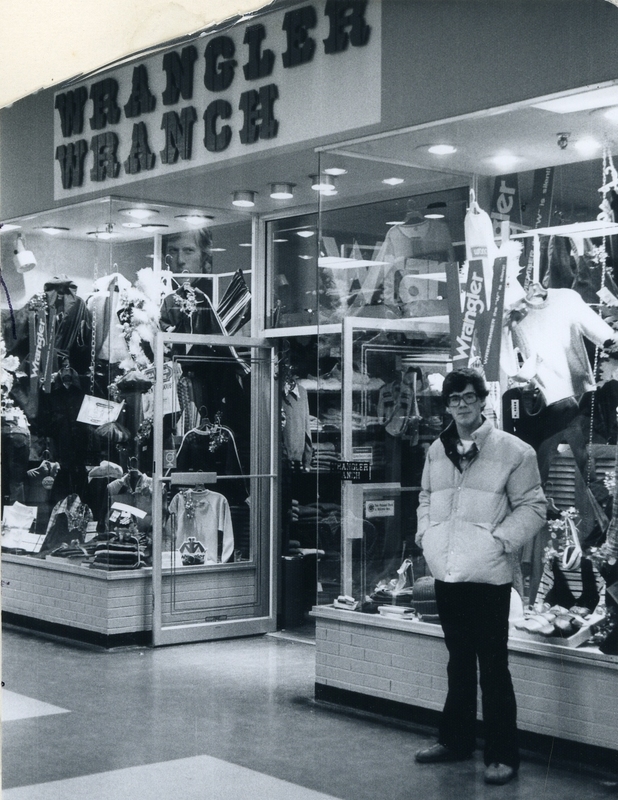 Senior year I moved down the mall to Wrangler Wranch, across from Bradlee’s. This was one of the Mall’s first stores and was originally called Mr. Slacks. It was a fun job, even though I was a lousy salesman. I remember making a little boy cry when I told his mother that maybe a “husky” size would fit him better. I used to go into Pewter Pot and get a chocolate chip muffin heated up in the microwave smothered in butter. I think I worked here through my senior year in college, when my retail career at the Dedham Mall ended. This entry was posted on May 13, 2010 at 12:52 am and is filed under ...all the old familiar places, JP's Dedham. You can subscribe via RSS 2.0 feed to this post's comments. You can comment below, or link to this permanent URL from your own site.